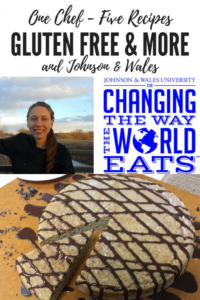 5 Inspired Gluten-Free Creations Aspiring chefs at the Denver campus of Johnson & Wales University were challenged to create delicious gluten-free recipes using five specific allergy-friendly products. A rising star, Emily Schaefer, delivered the goods. At the Denver campus, a program funded by Delta Dental of Colorado enables Culinary Nutrition and Dietetics & Applied Nutrition majors to teach medical students from the University of Colorado about ingredients and presentation, so these future physicians can recommend healthy, delicious recipes to their patients with heart disease, diabetes and other conditions. 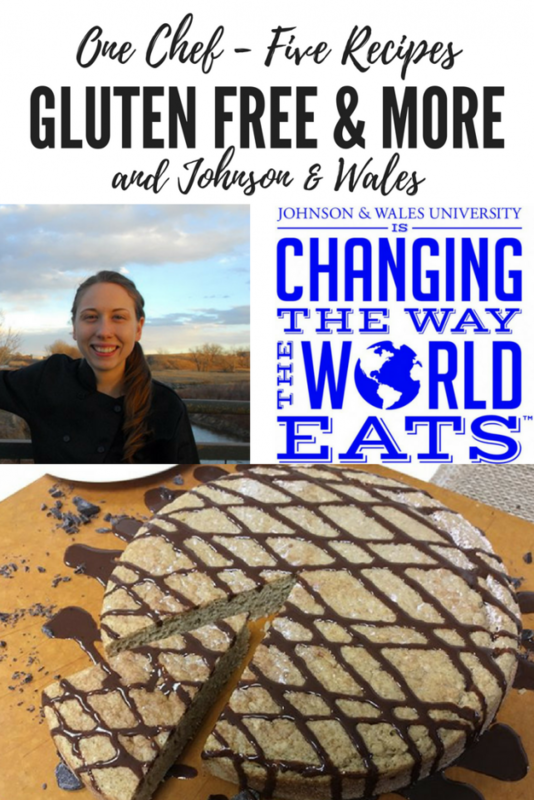 The program is an example of how Johnson & Wales University is changing the way the world eats. Each meatball contains contains 38 calories, 1g total fat, 0g saturated fat, 0g trans fat, 8mg cholesterol, 139mg sodium, 8g carbohydrate, 1g fiber, 2g sugars, 1g protein, 4Est GL. MAKES 1 GALLON OF SOUP + 12 DUMPLINGS. Each 1-cup serving of soup contains 52 calories, 1g total fat, 0g saturated fat, 0g trans fat, 0mg cholesterol, 66mg sodium, 11g carbohydrate, 2g fiber, 3g sugars, 1g protein, 3Est GL. Each dumpling contains 134 calories, 3g total fat, 1g saturated fat, 0g trans fat, 40mg cholesterol, 151mg sodium, 24g carbohydrate, 2g fiber, 4g sugars, 3g protein, 13Est GL. Each serving contains 164 calories, 10g total fat, 4g saturated fat, 0g trans fat, 292mg cholesterol, 403mg sodium, 7g carbohydrate, 1g fiber, 2g sugars, 11g protein, 3Est GL. Each slice of quick bread (without sauce and kimchi topping) contains 66 calories, 1g total fat, 0g saturated fat, 0g trans fat, 20mg cholesterol, 268mg sodium, 10g carbohydrate, 2g fiber, 3g sugars, 4g protein, 5Est GL. Each tablespoon of sauce contains 60 calories, 6g total fat, 1g saturated fat, 0g trans fat, 26mg cholesterol, 144mg sodium, 0g carbohydrate, 0g fiber, 0g sugars, 0g protein, 0Est GL. Cake yields 12 slices. 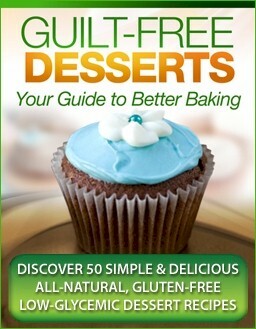 Each slice without Chocolate Drizzle contains 125 calories, 4g total fat, 1g saturated fat, 0g trans fat, 18mg cholesterol, 273mg sodium, 22g carbohydrate, 1g fiber, 7g sugars, 2g protein, 14Est GL. Each tablespoon of Chocolate Drizzle contains 72 calories, 6g total fat, 4g saturated fat, 0g trans fat, 10mg cholesterol, 6mg sodium, 6g carbohydrate, 1g fiber, 5g sugars, 0g protein, 3Est GL. Emily Schaefer grew up on a small island off the coast of Maine with Acadia National Park as her backyard, where she gained a respect and awe of her environment. Interested in art and “how things work,” she initially enrolled in the Baking & Pastry Arts program at Johnson & Wales University and then in the Culinary Nutrition program. She graduates in 2018.